Returning from work and tired from the day’s activities, rushing to beat the traffic but eventually getting stuck in it. Sitting in your car, your hands resting under your chin and in deep thought until the car behind you presses the horn to tell you to keep moving no matter the little distance. The last thing on your mind is falling victim to traffic robbers, who are often on Lagos gridlocks robbing innocent citizens of their valuables. They operate boldly both in the day and night. Olubusola Martins, an accountant at a telecomms company never thought she could be a victim of traffic robbers because she kept all driving safety rules she laid for herself. Olubusola believes that traffic robbers profile motorists like women who are alone and distracted. She said women were likely to be preyed on than a man because they would think of their safety first rather than put up a fight. “Her major instinct is more of flight than fight,” she said. For Olubusola, what she experienced on the 9th of February, happened so that she would know how unsafe the society and the city of Lagos is. She was driving home after a brief visit to a friend at Adeola Odeku when she absentmindedly drove into Eko bridge. Still wondering why she took that route, she noticed two men leaning against a railing and one had two pliers in his pocket. She didn’t think too much of him as she thought he was one of the construction workers in the area. Olubusola saw one of the men, she described him as the older of the two men, cross the road in front of her and their eyes interlocked for a split second. Sadly, the team of policemen she narrated her ordeal to, at the end of the bridge blamed her, explaining how citizens react when they torture a thief. The event that played out between the time Olubusola was told she would get her phone back and how she got it, was both scary and interesting. Directed to go home and get call credit, Olubusola called her phone and it rang. Surprised, she remembered that her phone’s battery was almost dead when it was stolen by the robber. It turned out that her sim was removed and inserted in another phone. However, Olubusola knew she wasn’t speaking to the thief because the voice that threatened her in traffic was quite different from the one she spoke with over the phone. The guy who claimed to find the phone demanded for some money in exchange for the phone but while they were bargaining, he changed his mind and promised to return the phone, free of charge. He asked her to come to Tinubu Square to pick it up. Although, she thought it was a joke, Olubusola was assured by the word she heard from God. Surprisingly, when she told her mum about the incidence and that the thief had asked her to come get her phone, her mother volunteered to go with her. Something she described as out of character for her mum who would never have let her go or go along with her. By the time they got to Eric Moore road in Surulere, her mother suggested that they call her brother as it was too risky for them without a man. Meanwhile, Olubusola had been warned against bringing policemen with her. She called her brother, who by chance was 200 metres away with another friend. After spending 30 minutes to convince him, she had the security of her brother, his friend, driver and her mum. Olubusola described all these as the work of God because the guy didn’t ask her for money, harm her when she got to the flowerpot, or withdraw money from her bank account since her phone was with him for three hours, between 8:51pm and 11:51 pm. That experience made Olubusola realise that Lagos, a city described not to sleep is made up of non-observant people. As busy as Tinubu Square was that Friday night, no one looked at her or knew what was happening to her. Until she became the victim, Olubusola never knew how bad the state of security was and people’s attitude towards someone in danger. She also realised that the city needs to be well-lit. To draw the attention of the government to these security/safety issues, Olubusola opened an Instagram page, We Own The Night Lagos. We Own The Night Lagos is an advocacy initiative to promote a safer Lagos and a safer night. The name was chosen in order to shift the narrative of control of the night from the hoodlums and robbers who think they own the night to the citizens who believe they do not own the night by teaching them and empowering them on how to take control of the night and combat street crimes especially at night. She describes her initiative as a movement, calling on everyone who has ever witnessed something similar to join in the conversation. 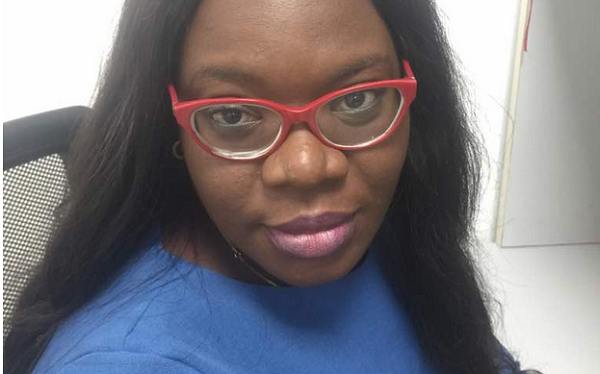 Using UK’s night-time economy, which is worth £66 billion as an example, Olubusola said tourism in Nigeria would be a money making industry if security issues were taken seriously. Although, she is not entirely certain how the movement would turn out but she knows that ultimately it will bring a lot of change in terms of security and safety to the city’s landscape. At the moment, she has shared her story on a few platforms. Olubusola wants the government to understand that making Lagos secured is making it more economically vibrant. Even though she is yet to get any acknowledgment from any government official on the security issues she has raised, Olubusola says she will keep pushing until she is heard.